You may (or may not) have noticed that a LOT of my recipes use almondmilk. When Babycakes was born I made the conscious decision that after a year of breast-feeding, her primary "milk" would be almondmilk, not cows' milk. I also never gave her rice cereal, but that's a whole different story! Silk Almondmilk is especially great for: baking, drinking by itself, or atop cereal. 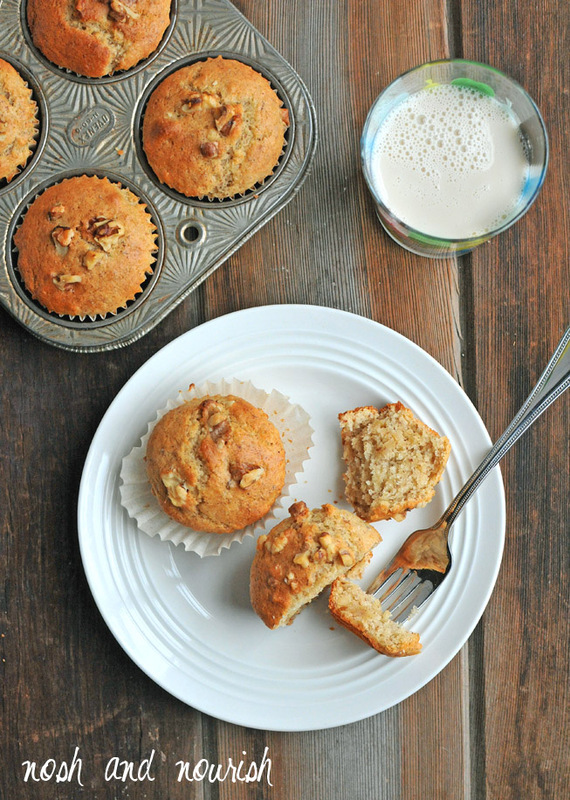 Perfectly moist and fluffy, these banana nut muffins will actually make you want to get up in the morning! Follow me on Instagram to see sneak peek / behind-the-scenes pictures like this one. Here's what the "Flax Eggs" look like after being refrigerated for 15 minutes. Next, simply add them into the muffin batter. So go ahead and try Silk Almondmilk yourself!! I will continue to bring you fabulous recipes that have it on the ingredient list, so you'll go through that half gallon in no time. Get a $0.75 coupon here. 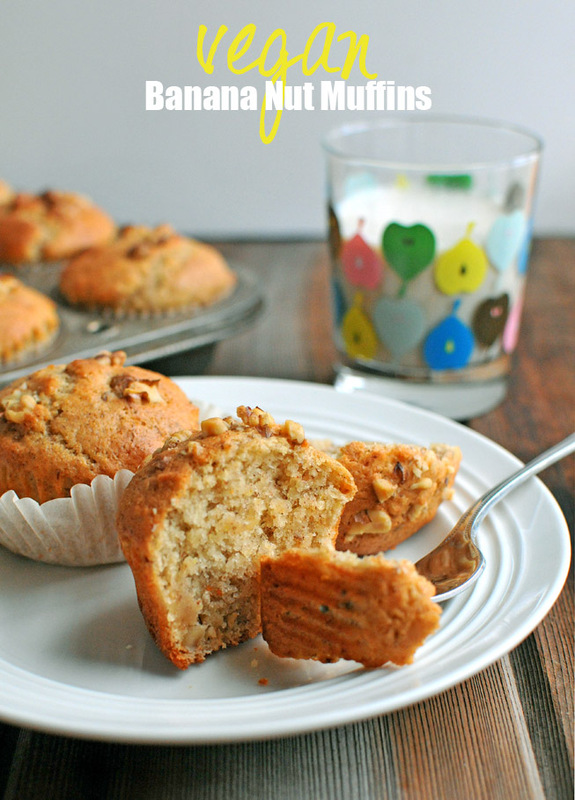 Banana Nut Muffins that happen to be vegan...and AMAZING! 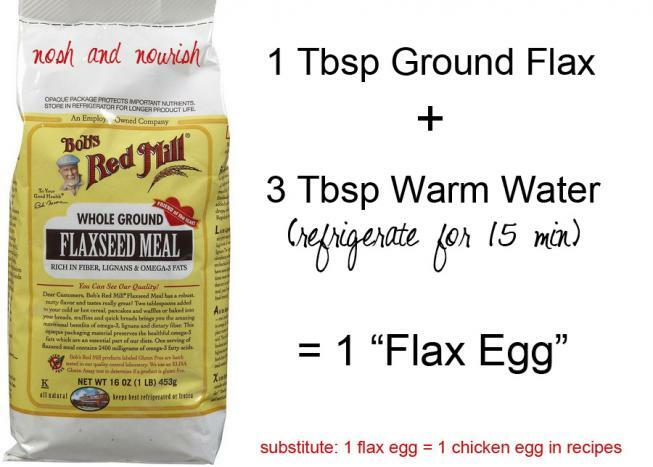 *2 "Flax Eggs" = 2 Tbsp ground flax + 6 Tbsp warm water. Refrigerate for 15 minutes. 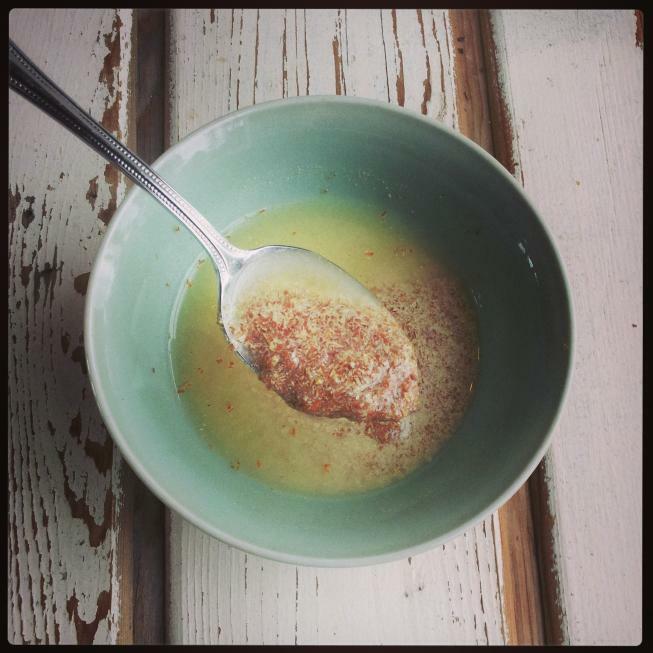 Combine chickpeas and almond milk in a large measuring cup. Use an immersion stick blender to puree until smooth. Combine all ingredients, except 1/4 cup walnuts, but including the chilled flax in a medium bowl. Spray a muffin tin with non-stick spray, or use coconut oil. Fill each cup to the top. Press the remaining 1/4 cup walnuts into the top of each muffin batter. Bake for 30 minutes, or until lightly browned.